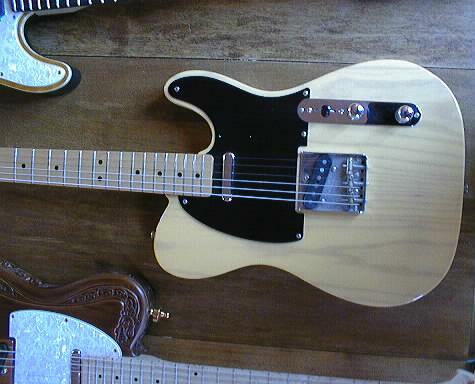 Guitar n° 2 Fender USA 1952 Telecaster reissue 1990 model. Totally stock , I have not even reset the pick up selector, to get neck and bridge I have to put in between the two. Why change a guitar when it's perfect? or the The Pub Mustang Café, Nanterre on the 10 July 1999. 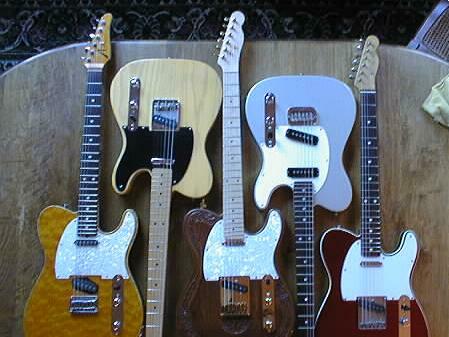 Click on each of the different guitars to hear them and see some close up shots. Use right mouse or click on the photos to see the full size photos. Enjoy.